Beautiful home located in the North/West area. This is a 4 Bdrm, 2 bath w/office area. Open floor plan with large Great Room. Kitchen has tile counters and tile blacksplash, bar & pantry. Large dining area. Master bedroom has walk-in closet, double sinks, separate tub & shower. Hall bath has double sinks. Patio is built under roofline. Immaculate condition and ready for new owners. 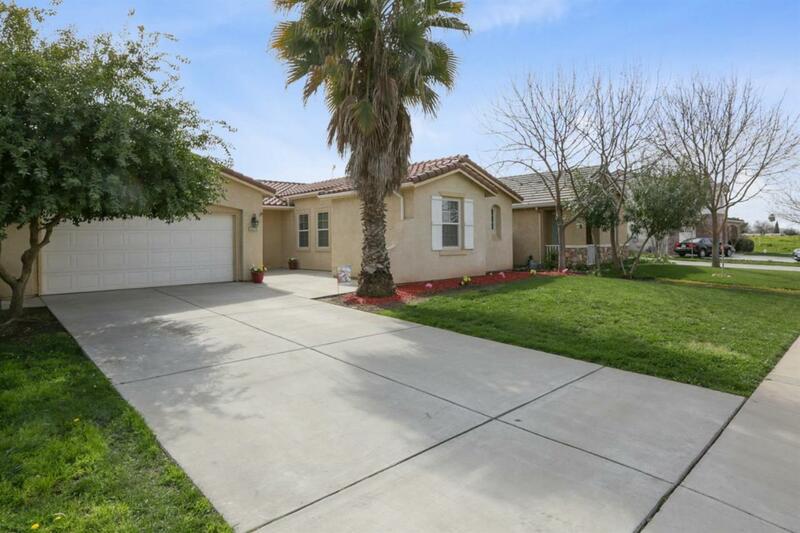 Listing provided courtesy of Peggy Wilson of Century 21 Jordan-Link & Co..
© 2019 Tulare County Multiple Listing Service. All rights reserved. The data relating to real estate for sale or lease on this web site comes in part from TCMLS. IDX information is provided exclusively for consumers' personal, non-commercial use and may not be used for any purpose other than to identify prospective properties consumers may be interested in purchasing. Information is deemed reliable but is not guaranteed accurate by the MLS or The Jillian Bos Team | Keller Williams Realty. Data last updated: 2019-04-22T08:16:27.353.